It is a paint package covering all the trucks in the game, including 44 of the world famous European logistics companies. You can color your vehicle with giant real European logistics companies. You can visit OFFICIAL WEBSITE[www.sinagritbabasworkshop.com] to be informed about new developments and recommended mods. Also you can DONATE to me from Steam. Warning: YOU CAN NOT USE THIS MOD IN OTHER SITES, GAMES OR MODS! USE ONLY THE WORKSHOP LINK WHEN SHARING! If you like it, don't forget to vote. Don't restrict support. Hi. Sorry, I can't. 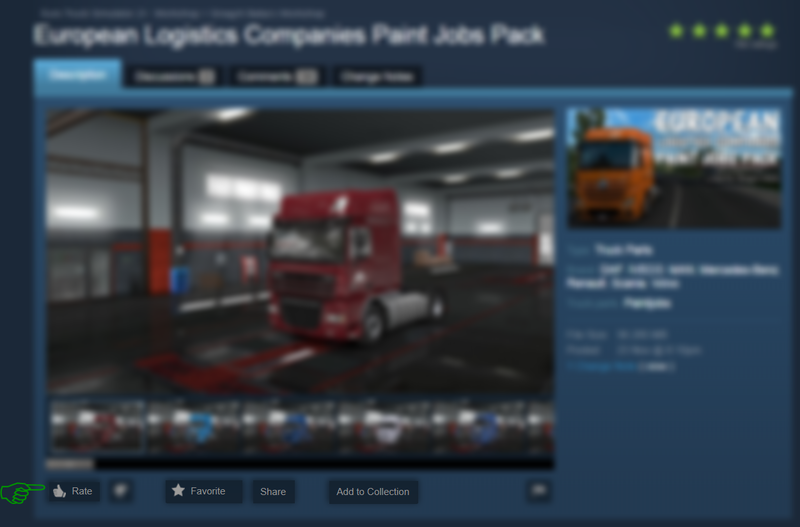 In this mod there will be only logistics companies. Hello Can You Made a Krone Skin in Blue Wight for DAF XF106 or Not ? ?